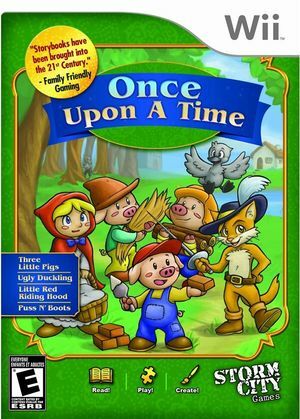 Once Upon a Time is a group of 4 fairytales as different play options on the Wii. The game is interactive and aimed at children 3+ who either cannot read and write up to those that can in the early stages. Interaction is the key to the title which has 3 Game modes being Listen to the Story, Tell you own Story, mini games designed for he young covering puzzles, wiggling on animation, grouping pairs and a memory game. The four classic stories are Ugly Duckling, Red Riding Hood, Three little pigs, Puss in boots of which there are 54 interactive book pages and over 300 animated objects set to the background sounds of the stories which was recorded by actors and lasts for over 1 hour. The graph below charts the compatibility with Once Upon a Time since Dolphin's 2.0 release, listing revisions only where a compatibility change occurred.